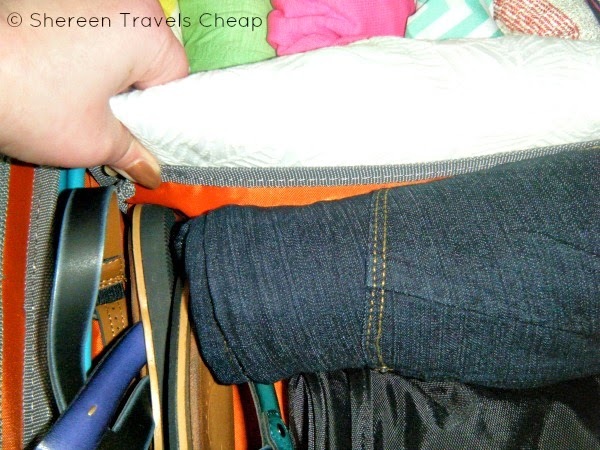 When you travel, do you ever wish your carry-on was a bit more versatile? I have shoulder bags that I also wish had convenient handles or could be carried crossbody or as a backpack. Unfortunately, most bags don’t have as much versatility as we would like, making it difficult to carry up stairs or over on cobblestones or down the aisle on the airplane. Don’t get me wrong, I love a rolling bag, but they can’t really go everywhere and the rigid structure can make it difficult to get into the overhead or under the seat in front of you. eBags wants to give you a bit more organization, while giving you a more traditional carry-on bag, but with a lot more flexibility. The TLS Mother Lode Weekender Convertible Junior is a soft-sided bag that is not a full-size carry-on, but holds as much as one and still fits under the seat on the plane. 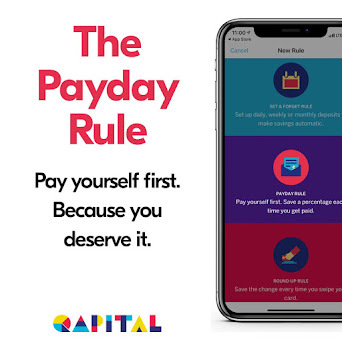 It can be carried like a briefcase, a backpack (with hidden straps in the back) or a shoulder bag, with the padded and adjustable included strap. Who doesn’t like such options in a bag? With the way we travel, we might be spending days in the big city and bringing our bags from the airport to the hotel on the subway/bus or we may be dragging our belongings with us to somewhere in the rainforest or other equally non-metropolitan destination. Roller bags don’t really work on unpaved paths and may need to be carried over mud or streams. The Mother Lode Weekender Junior is a perfect option, because it doesn’t have bulky wheels and can be carried in that variety of different ways, making it more convenient for those who do more than just one kind of traveling. 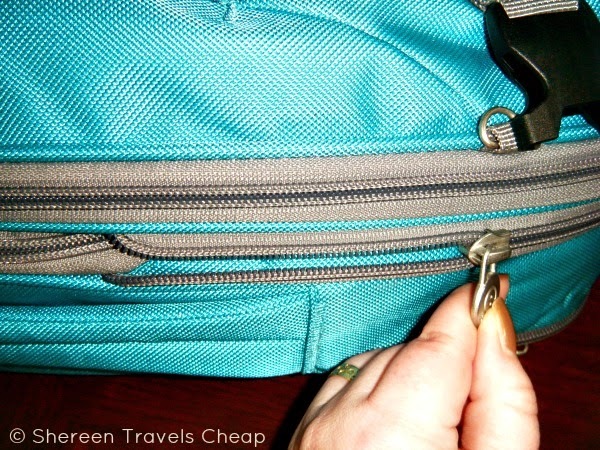 With the manageable size, it allows you to bypass baggage fees as well. The inside of the bag is an organizational dream. The large compartment gives you the option of using a partition to divide it into two separate spaces. I love this, since it can keep everything from scrunching down to the bottom when using it as a backpack. 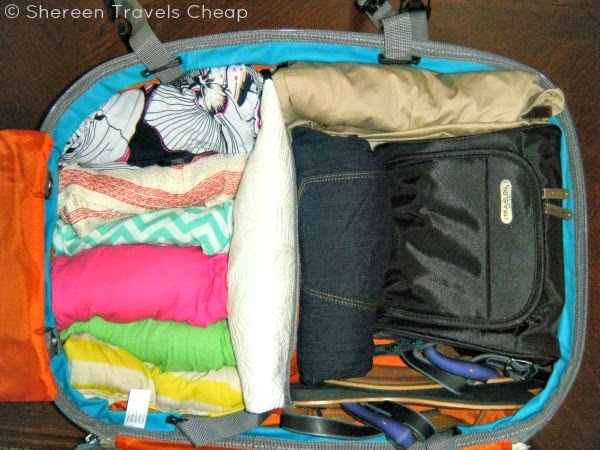 I put my heavier items on the bottom, like my toiletry bag, shoes and pants, and then my lighter items in the top portion. 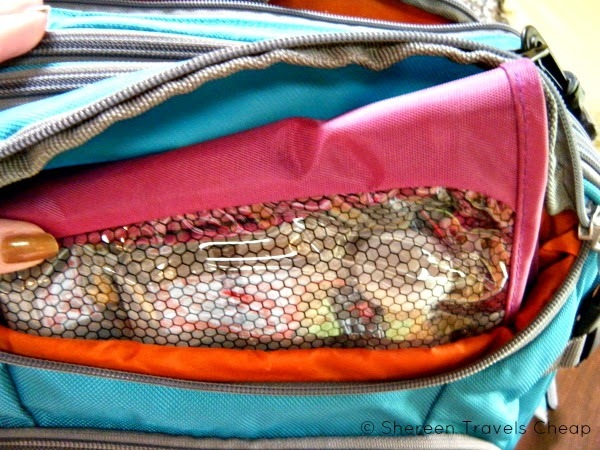 There is a nice removable pouch inside the main compartment that can be used for smaller items you don’t want to lose, makeup or, as I used it, my roll of accessories and jewelry. 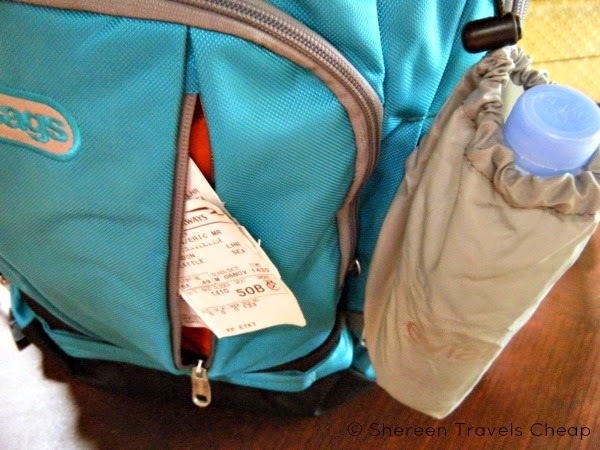 Once at your destination, you can unsnap it from the inside and toss it in your day bag. 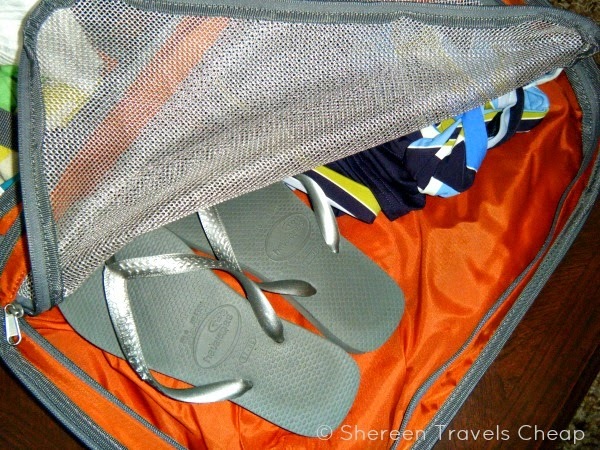 Going to the beach or like to keep particular items separate? 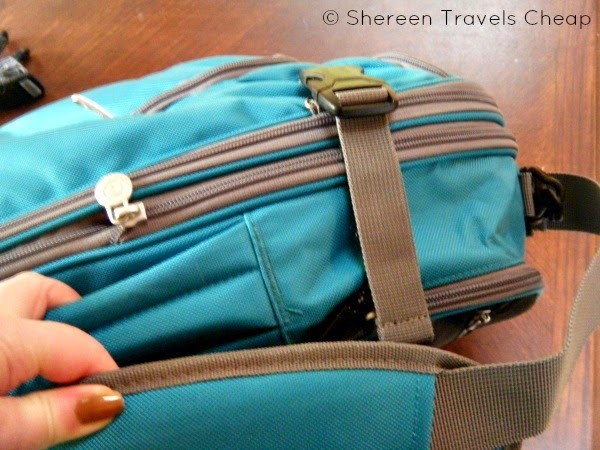 Slip them in the flat mesh pocket to keep them away from your items in the main compartment. I use it for unmentionables and my swimsuit, just to keep them from getting mixed up with the rest of my clothes and making them easy to find when I need them. 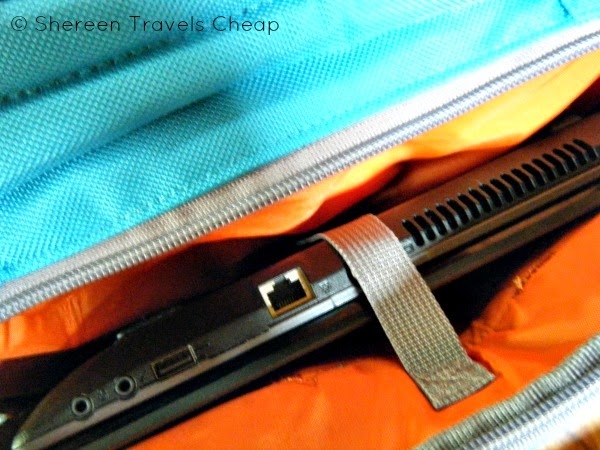 This bag has a back compartment for carrying your laptop. You can fit even the largest laptop inside. As you know by now, I sometimes travel with a 17” laptop, which is huge, but also necessary at times, because I blog from the road and do other work. Not only will it fit inside, but a smaller one will fit just as snugly, thanks to the adjustable laptop sling inside the pocket, so your expensive computer doesn’t get jostled around and ruined while in transit. The back is padded, so you won’t even notice that it’s right against your body while carrying it around. 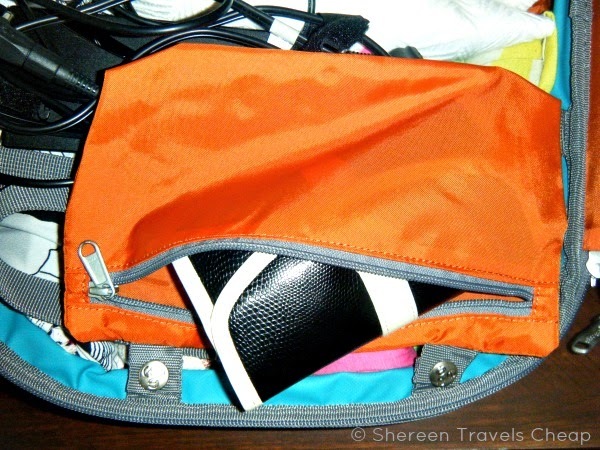 When I leave on vacation, I don’t always have my bag totally full, which is sometimes a problem with a bag like this, because it can cause everything to slide to the bottom and get all jumbled up. The Mother Lode Weekender Junior has compression straps, to keep your items in place even when it is tossed around. Bought items on your trip? Not to worry! You can loosen the compression straps and add more space to your interior by almost two inches with the zippered expansion gusset. This is a really important feature for me in a bag, because I always come back with more than I left with and need the extra room. 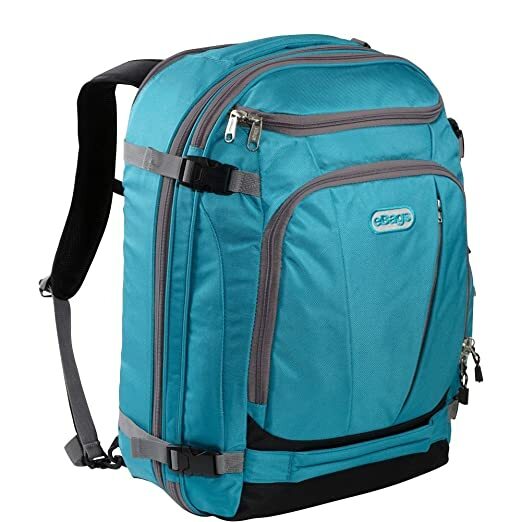 This bag also features internal clips that allow you to place the tie-down straps higher up than usual, making it easier to layer your belongings inside in multiple layers, without unnecessarily squishing those on the sides of the bottom. Now that all your main items are packed and organized, you can organize all the other little things you need to take with you. 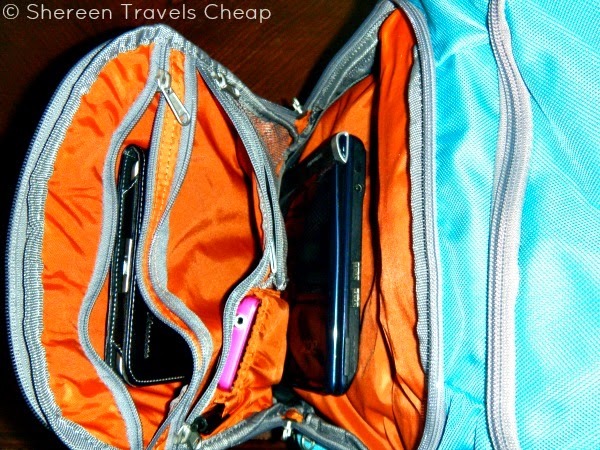 The exterior pocket has room for guide books, smaller electronics, change, writing implements and more. I used it for my Kindle, passport, mobile and even fit my netbook inside. Even with all that, it wasn’t bulky at all. Don’t want to wrestle getting your 3-1-1 bag in and out of your bag? No problem! There’s a great top pocket that you can slide it right into. Of course, it can be used for anything you want, but it’s a fantastic place to store your liquids bag for ease through security. It’s the ideal size! 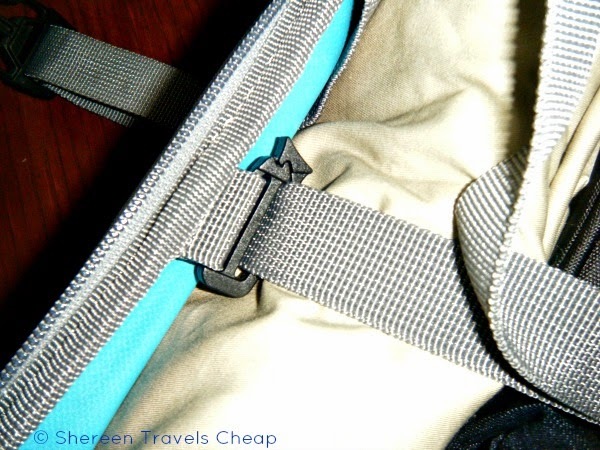 Keep your travel docs close at hand with the handy little zipper pocket on the front of the Weekender. It’s not large, but it can fit those things you like to have easy access to, like your boarding pass(es). As soon as I get on the plane, I’m thirsty or hungry…or want just about anything else that is annoying when it’s packed away in your bag. 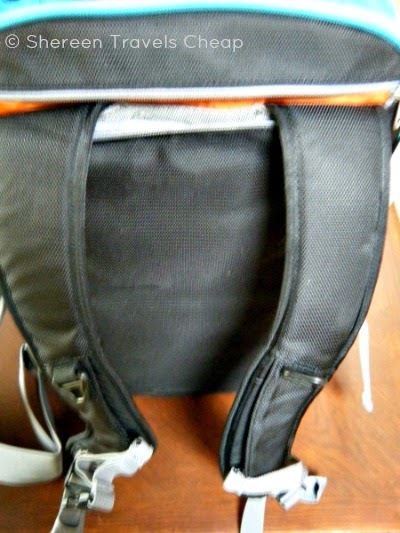 If you have the same issue, this bag makes carrying around your bottled beverage and keeping your hands free easy. There’s a hidden bottle pouch on this bag that can be adjusted to fit many size drinks (even those giant waters you want to buy, but don’t because they are hard to carry around) or even snacks. When not in use, you can shove it back into its small zippered compartment. I’m really looking forward to using the TLS Mother Lode Weekender Convertible Junior on my next trip, as it can fit everything I need for a two-week vacation and is just the right size for me to carry on my own. If you are looking to get away from the structured bags that have become the norm, that don’t always work for all your travel, this could definitely be the bag that works for you, too. Disclaimer: I was provided with the TLS Mother Lode Convertible Weekender Junior for the purposes of this review, but all opinions are 100% mine.